When designers and engineers want to add soft surfaces to their design concepts, they’re generally left with a few basic foam options to consider: hand-cut foam shaped from block samples or foam contrived from two-part chemistries. But while these processes can make the material as soft as needed, the design then begins to revolve around that particular foam process’s limitations. In the end, this can either undermine the original design concept or lead designers to believe that foam just isn’t the right material for their products. For instance, think about the soft seats on playgrounds. Even if the foam material is soft, without the proper durability and water resistance, the product will ultimately fail. Alternatively, if the material is durable and waterproof but lacks the softness, comfort, and aesthetics the designer was aiming for, it's still considered a failure. For products that include soft, comfortable, 3D design features and need great durability and resistance, the more appropriate options are injection-molded EVA foam, compression-molded EVA foam, and reaction-injected molded polyurethane. With the increasing demand for materials that can meet all three needs, the injection-molded EVA foam process brings a unique, highly versatile solution to the table. 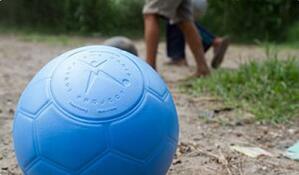 PopFoam is a proprietary, lightweight EVA material that we create through injection molding. Its closed-cell and cross-linked structure makes it 100 percent waterproof and nearly indestructible. Meanwhile, the unique injection-molded EVA process gives PopFoam the ability to meet virtually any unique design concept. It begins with a technical tooling process using molds that can be heated, which is necessary to cross-link the material. The tool is injected, and after a cycle time, the part is rapidly ejected from the cavity and placed into a custom cooling fixture where it can contract to the appropriate size and dimensions. In PopFoam’s injection-molding process, we approach the need for comfortable softness from a structural point of view. Unlike most other foam processes, injection molding gives us the ability to core out certain areas to provide optimal flexibility. In fact, coring out the material is inherent to the process. Coring out strategic areas of the foam makes the material flexible enough to provide the required level of softness. The EVA foam is still a closed-cell and highly durable structure, and it can be shaped to the product’s original design while the voids make it cushy and comfortable. Implementing PopFoam into a design eliminates the need for designers to choose between comfort and aesthetics and adherence to their original designs. Rather than changing their ideas to accommodate the process, the process can be customized to achieve their specific visions. This ability leads to more interesting and innovative products with never-before-seen features and performance capabilities. These innovations range from athletic footwear with bouncier, more responsive EVA mid-soles to more comfortable, supportive high chairs for children. 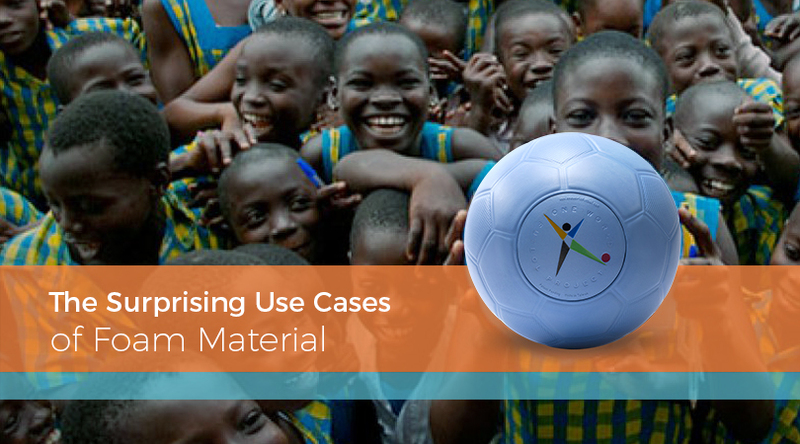 It even includes the ability to meet highly specific demands, such as creating a soccer ball that can survive in the world’s toughest conditions. Every day, designers and engineers find more ways to include EVA foam into their products, and we continue to innovate new ways to accommodate them.